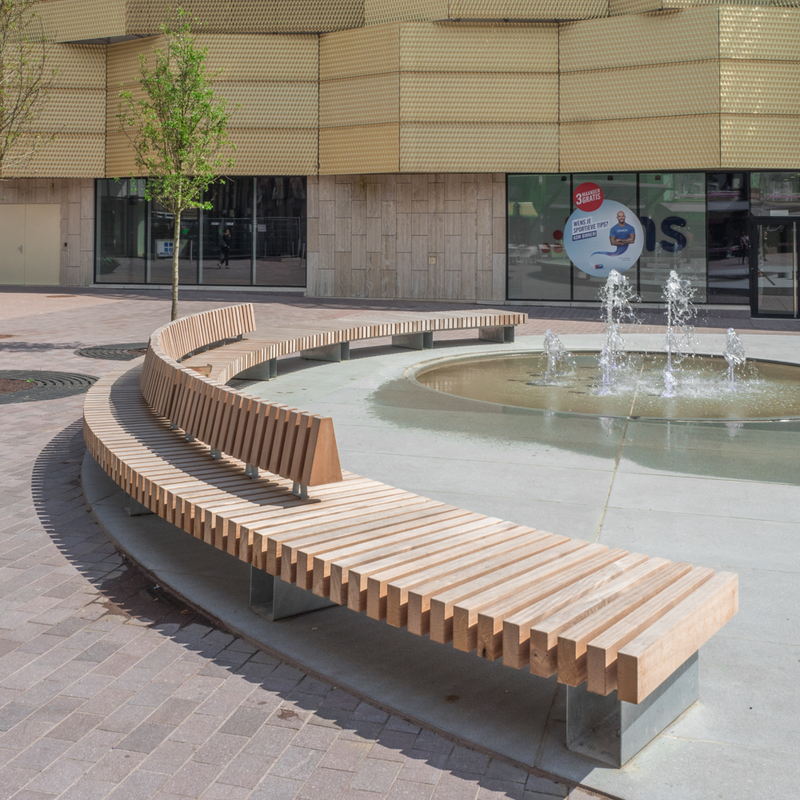 With their curved shape, Rough&Ready Curve Benches have a distinctive appearance. 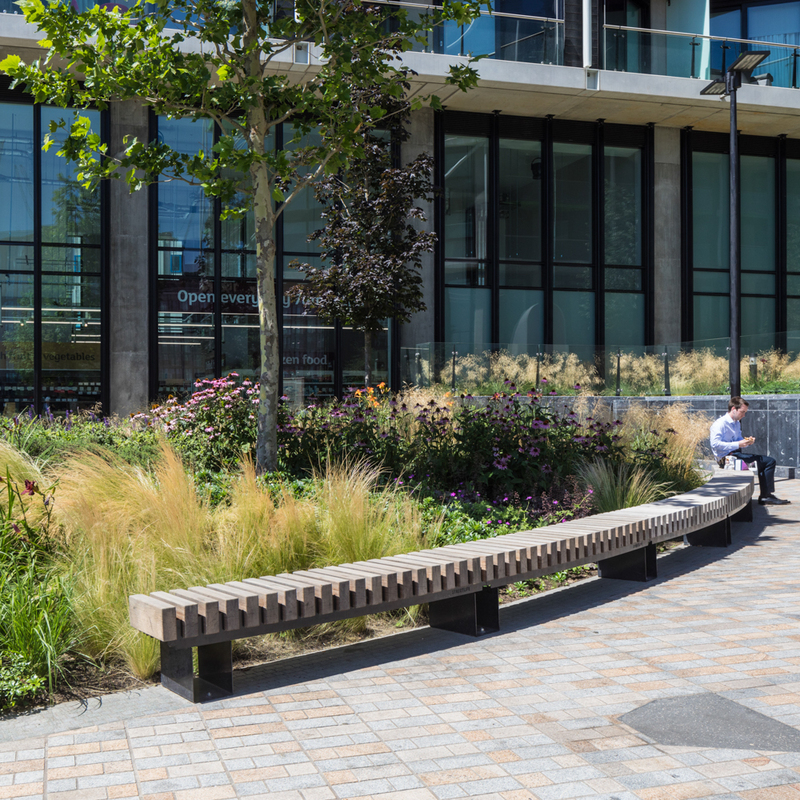 These benches consist of transverse modular beams mounted in a self-supporting Streetlock® comb. The 200 cm-long modules can be linked together to create any desired length. Arm and backrests are available as optional add-ons. Backrests consist of a rounded back element that can be mounted almost anywhere on the bench. 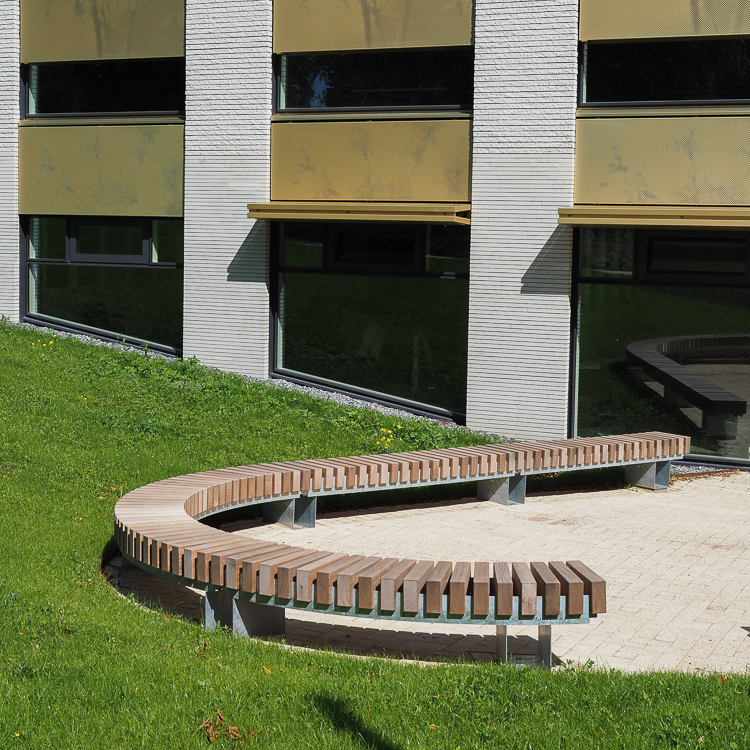 The transverse positioning of the beams make R&R Curve Benches highly unappealing to skateboarders. 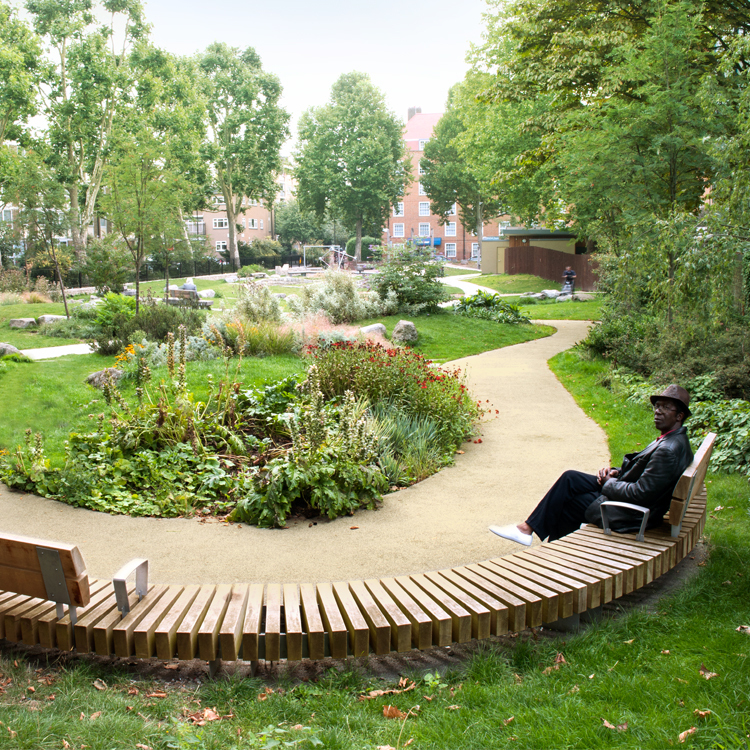 Three types of backrests can be mounted on the Rough&Ready Curve Benches, both on the curved inside and on the outside.